Folders come in a range of sizes but the most common is a 9” x 12”. Other common sizes would include a legal size of 9” x 14 ½” and smaller sizes of 6” x 9” or 4” x 9”. 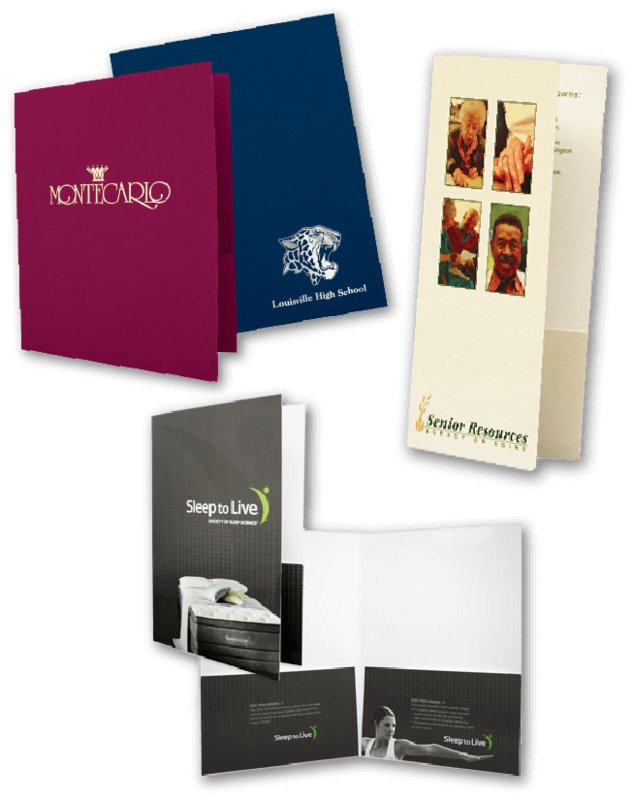 Most folders can be made with one or two inside pockets and with or without business card slits on the pocket or pockets. A huge range of stock choices exist and pricing is dependent upon stock selection, number of colors imprinting or foil stamping and quantity required. Foil embossing and blind embossing is also available.